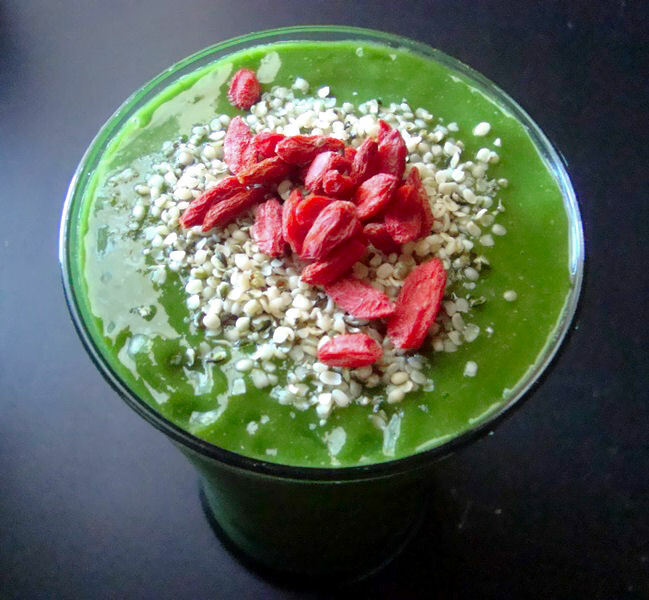 One of my new favorite smoothies! I have been on a huge mango and spinach kick recently, mainly because summer has ended and therefore mangos are in shorter supply, so I have been stuffing my face with them before they disappear from the stores. And of course, I am never without my handy dandy spinach! The very thought! Blend the mixture until smooth and creamy. 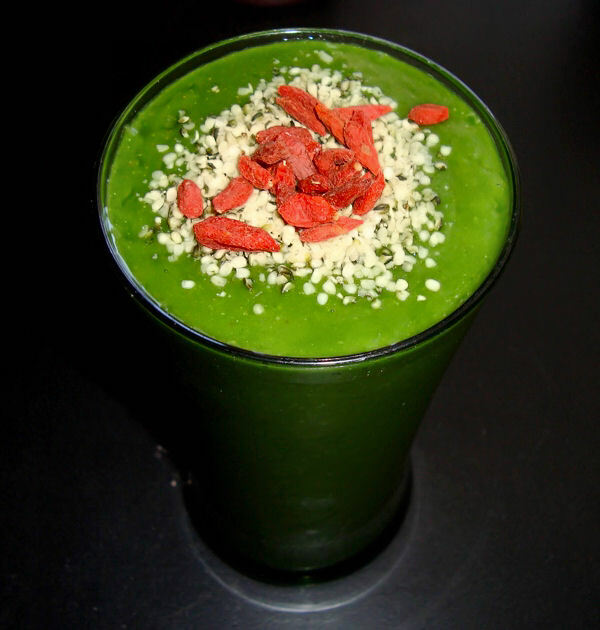 Pour into a glass, top with hemp seeds and goji berries as pictured, and drink up! This smoothie is sooo refreshing! You can also add protein powder to this mix as an added bonus for a perfect pre-workout smoothie!